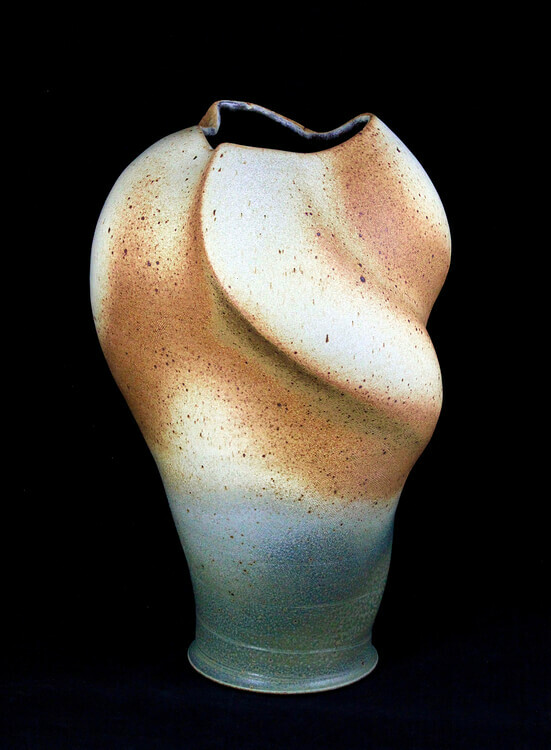 Wheel thrown and hand-built stoneware, raku & pit fired clay pieces, decorative to functional. Surfaces are glazed sagger fired and smoked. This along with texture and paint create unique designs. 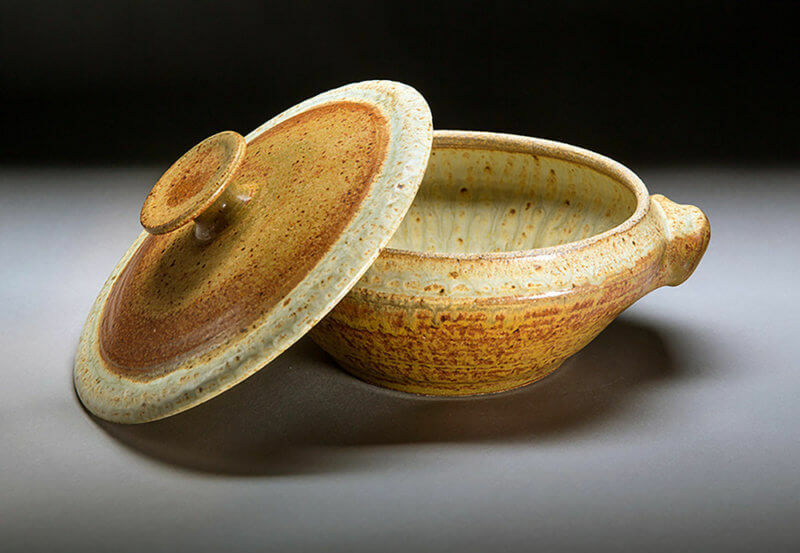 This is wheel-thrown, functional and sculptural, high-fire, reduction stoneware. Emphasis is on creating rhythms through metal oxides and porcelain slips that generate energy and personal involvement. 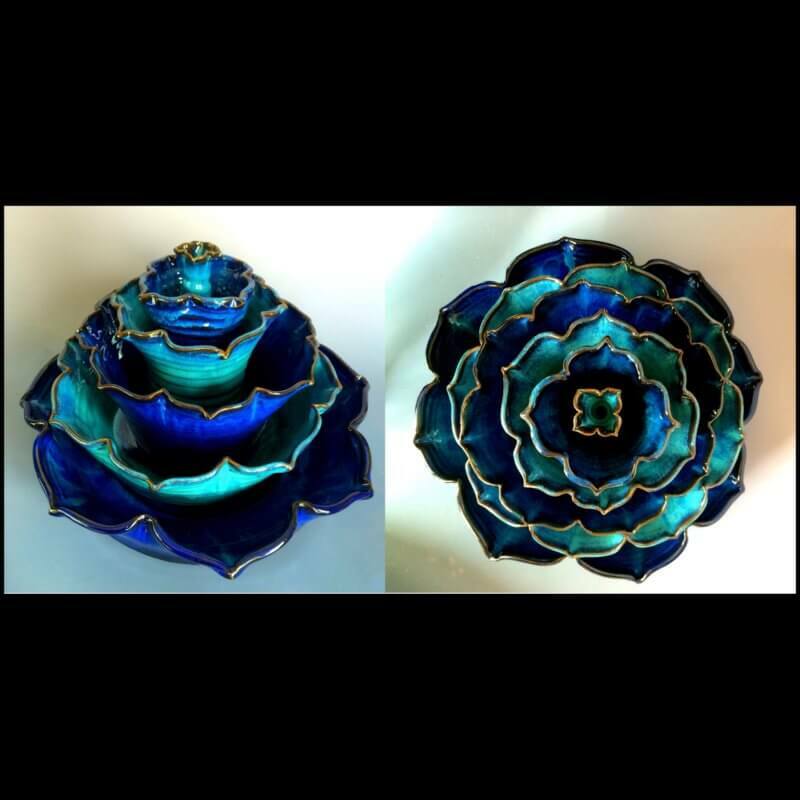 Wheel thrown, altered or hand built functional works of reduction fired art! Playfully handpainted to illuminate & be used in the endless silly or serious cycles of life that consume us every day! 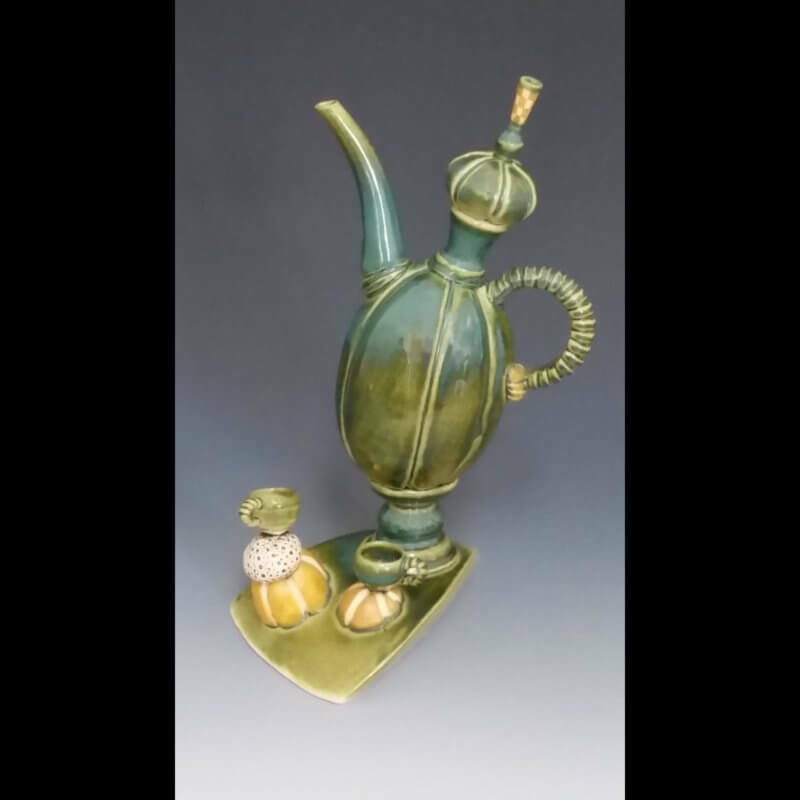 My work with clay is rooted in utilitarian and decorative pottery. I work with earthenware, porcelain, and stoneware. Surfaces are embellished with textures, scaffito, slips, and stamped impressions. 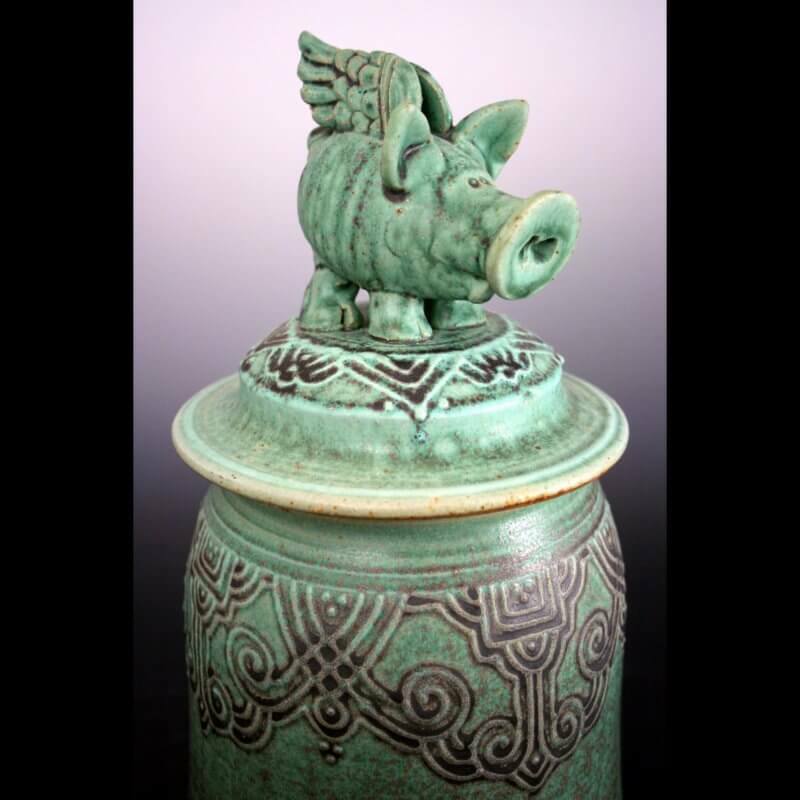 We have been Iowa Artist for over 40 years, our earthenware pottery is hand thrown and all original. 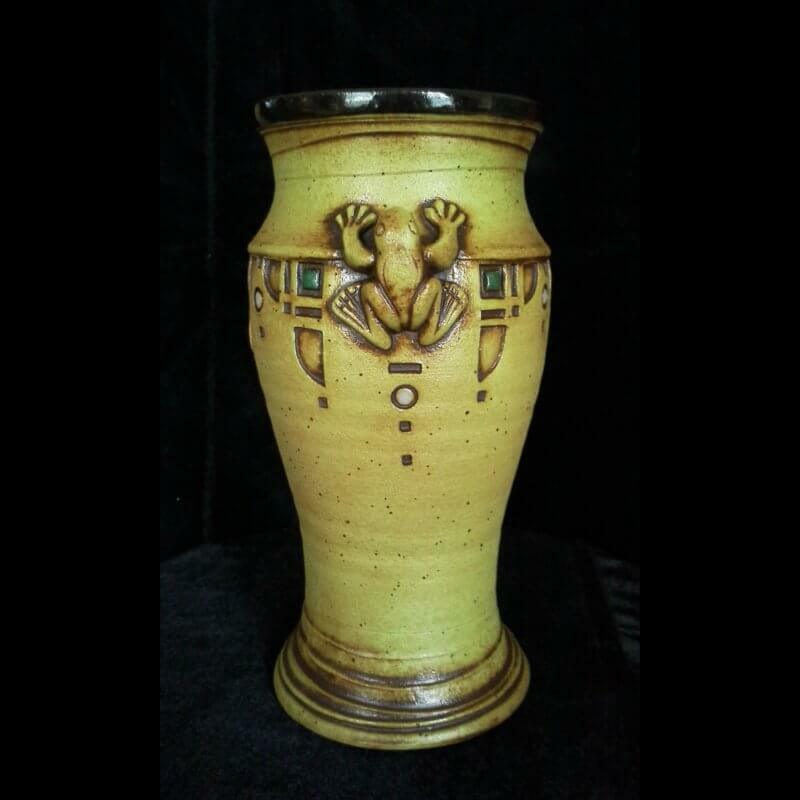 Sunflower pottery is one of the oldest potteries left in Iowa, unique imagery in color and design. 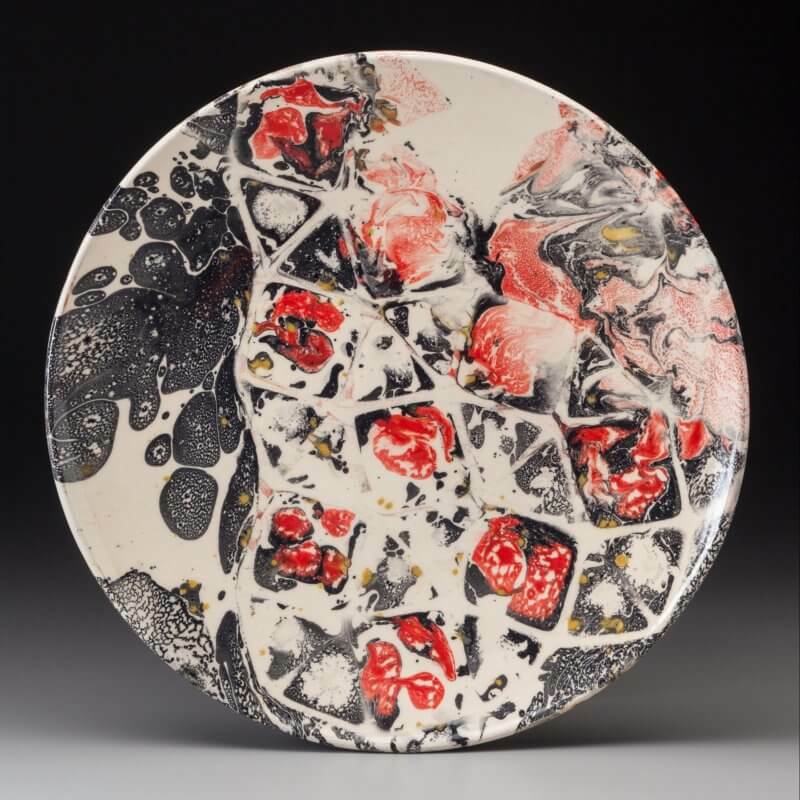 Allison Fretheim Ceramics are created individually using the potter’s wheel and hand building techniques with white earthenware. 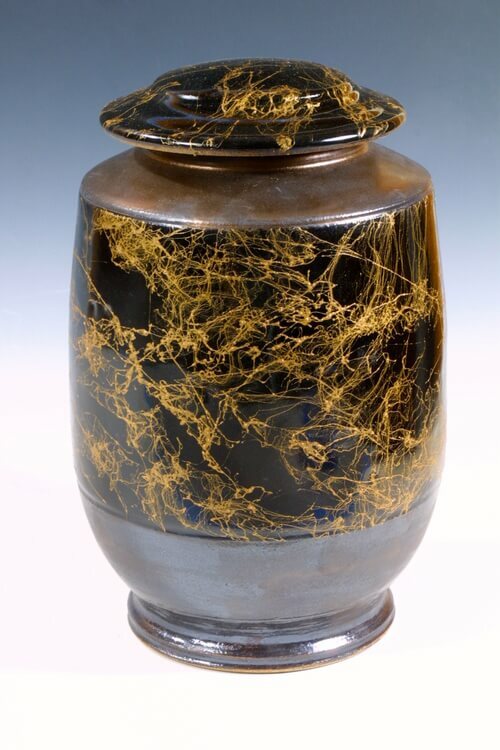 Each piece is carved and inlayed with black slip, and finished with gold. While primarily wheel thrown, I utilize hand building techniques to create balance and transformation; the basis for each piece. Fired to cone 6 in oxidation, colored slip creates a textual quality. We work in stoneware, and fire in a reduction atmosphere to 2300 degrees. We utilize slip-trailing on thrown work, slab-building, press molds, and just about anything else! 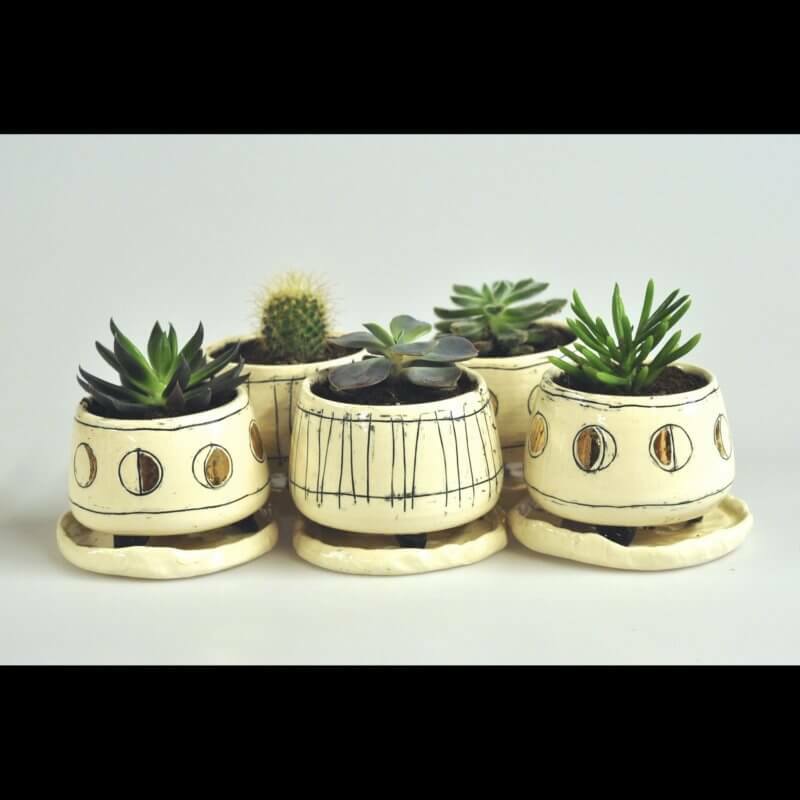 Wheelthrown functional ceramics from hand harvested native clay. Glazed in vibrant hues created in small batches. Electric fired and a blast to create. 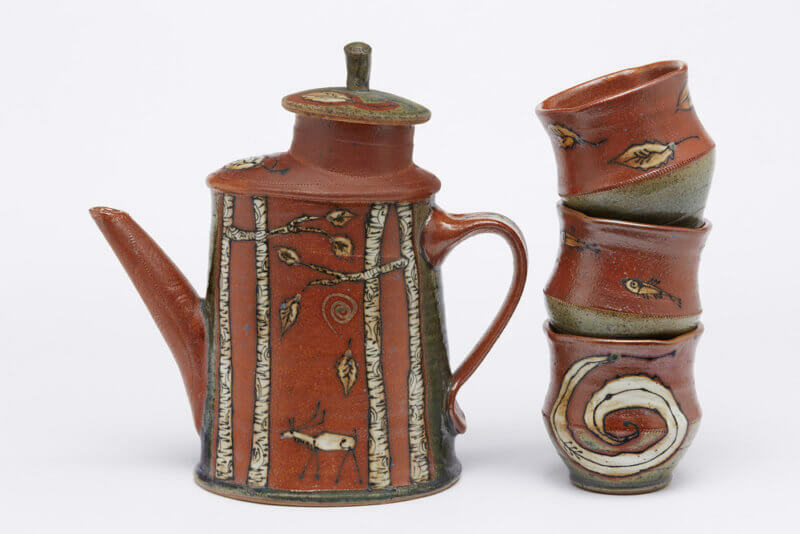 Earthenware pottery with red clay, white slip, underglazes, and a clear gloss glaze. Marbled monoprints use ceramic oil-based paint and computer-generated paper cuts as a relief image.